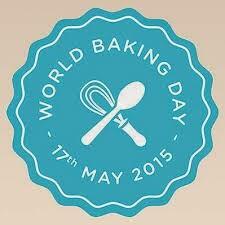 Sunday 17th May was World Baking Day, a day to bake for those you love. I wanted to bake something special, something meaningful. I wrote in my last blog post about my father. I haven’t yet mentioned my mother, so now’s the time. Sadly I have to admit I didn’t really know her all that well. For as long back in my memory as I can go, Mum was ill, and because she was ill my sister and I spent a lot of time staying at grandparents’ houses, and being sent off to church 5 times a week to give Mum some peace at home. I had no idea how ill she was so free time was spent with my best friend Suzanne. This was in the days when no one worried if you were out from morning till teatime, and I grew up in a sleepy village in South Wales which had a river, fields and a mountain to provide me with hours of adventure. Home was for sleeping. Because I was out all the time I didn’t ever spend any quality time with Mum, something I deeply regret now. We all know what they say about hindsight! I was 12 when she lost her battle with cancer. She was only 40. I have no idea what her favourite colour was, or her favourite food. All I can remember is her favourite films were The King and I, and Chariots of Fire, and she loved roses. We had a beautiful rose garden at the front of our house with roses of every colour. I used to love breathing in their fragrance as I walked past them on my way out. Rose is now my favourite fragrance and flavour. I think part of the reason I love it so much is that it makes me feel closer to Mum. For that reason too, I wanted my bake of love for World Baking Day to have rose flavouring. While searching through my recipe books, I found the perfect one. It was in the John Whaite Bakes book. If you don’t already own this, I would highly recommend it. Its packed with really delicious recipes and gorgeous photos. 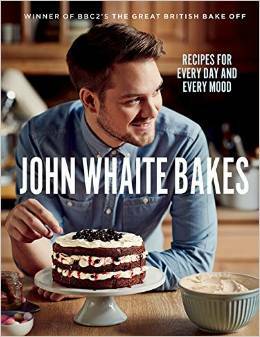 John Whaite has very kindly given me permission to share his recipe with you. 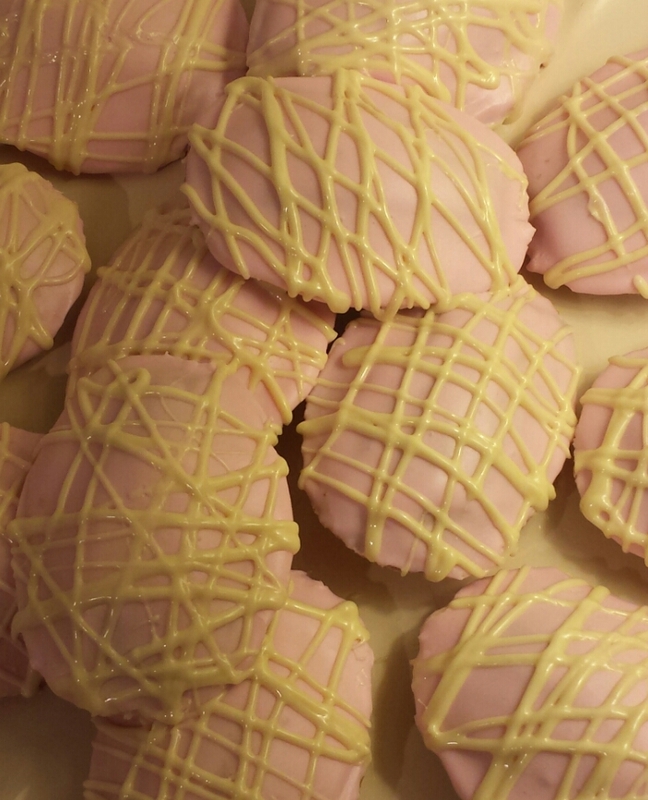 So here is my first bake of World Baking Day… Bunch of Roses Madeleines. Preheat the oven to 190C/Gas 5. Grease and flour your madeleine tin, then place in the freezer. Put the butter in a small saucepan and heat on high until melted and just starting to brown. Set aside. Place the eggs and sugar in a bowl and whisk on full speed with a handheld or stand mixer, until frothy, light, and the mixture falls in ribbons from the whisk. This will take about 4 minutes in a stand mixer, and a few minutes longer with a handheld one. Add the sifted flour by pouring it down the side of the bowl. Sifting it straight into the eggs could deflate the mixture so it is much better to pour it down the side. Pour the butter down the side in the same way, then fold in the flour and butter until you have a smooth light batter. Add rosewater to taste. Remove the tin from the freezer. Place about 2 teaspoonfuls of batter into each hole. Bake for 9-10 minutes or until the edges are just starting to brown. Remove immediately from the tins and place on a cooling rack, ridged side up. Allow to cool. Beat the fondant icing until it breaks apart, then add the water and whisk into a thick pourable icing. Add rosewater to taste, and the colouring to make it into a soft pink. Spoon over the madeleines. Melt the white chocolate in a bowl set over a pan of barely simmering water, then spoon into a piping bag with a writing nozzle (tiny hole) in. Quickly and confidently pipe the chocolate over the madeleines. Allow the chocolate to set before serving. Now I know why you love rose and roses so much. Ties to our loved one, especially parents are very strong. I imagine your mum would have been glad that you were out exploring the beautiful countryside. Beautiful Madeleine’s in your favourite flavour, well apart from Fererro Rochers.